We’re also well known for our discount prices. As a direct suppliers of all the brand name companies listed on this page you have access to buying their products at discount rates via ourselves. Visit the Brand Name company website. Take a note of the product and item codes required. We supply to both the Trade and the Public! Search for the Tools and Products via the sites below then contact us to obtain discount price! We are an official supplier of Bond It, Bosch tools, Dewalt tools, Everbuild, Gorilla Glue, Hammerite, Harrison & Clough Limited, Makita tools, Paslode, Owlett Jaton, Sealy tools & supplies, Silverline, Stanley tools, Toolpak, WD40, Weldibility and Youngman products and tools throughout Scotland. When it comes to fasteners and fixings you can be assured that we have it covered. We stock Allthread, Fixings, Hexagon Bolting, Hose Clips, Keysteel, Lifting & Clamping, Machine Screws, Nails, Pins, Tacks, Nuts, Bolts, Keys & Collars, Rivets, Rivet Bushes, Roofing & Cladding, Security Fasteners, Self Tapping Screws, Silversteel, Socket Screws, Thread Repair, Washers, Woodscrews & associated products and we deliver daily throughout Scotland. For over 20 years we have been renowned for being one of Scotland’s best suppliers of Hand tools and accessories. We have a large stock of Abrasives, Adhesives, Axes, Bars, Batteries & Chargers, Belts, Bevels, Blades, Blowtorches, Bolsters, Bradawls, Brick Jointers, Brushes, Buckets, Callipers, Chains, Chisels, Clamps, Cloths, Cutters, Decorators, Dressers, Drills, Edges, Electrical, Files, Fillers, First Aid Kits, Floats, Funnels, Gauges, Grease Guns, Hammers, Hammer Faces, Hammer Swingers, Hammer Wedges, Handles, Hawks, Honing Guides, Keys, Knives, Levels, Ladders, Lifters, Lights, Lines, Lubricants, Magnets, Markers, Mattock Head, Measurers, Measure Holsters, Mitre Blocks, Oil Cans, Pencils, Picks, Pins, Planes, Plane Irons, Pliers, Plumbing, Post Hole Digger, Punches, Rakes, Rammers, Ratchet Straps, Rivet Tools, Rollers, Rope, Rules, Sack Trucks, Safety, Saws, Saw Horse, Scrapers, Screwdrivers, Scribers, Shafts, Shavehooks, Sheets, Shovels, Slater’s Ripper, Snips, Soap, Sockets, Soldering, Spanners, Squares, Staplers, Staples, Stockinette, Stones, Storage, Tallow, Tapes, Testers, Tile, Torches, Trowels, Vices, Wipes and Wrenches. All of the above products are available for next day delivery across Scotland. When it comes to Power Tools you want to know that you are getting the best products at the best prices. That’s why we only stock the best brand names and again they can be with you via our next day delivery service throughout Scotland. Choose from Breakers, Drills, Grinders, Guns, Hammers, Jigsaws, Jointers, Mixers, Planers, Power Boxes, Routers, Sanders, Saws, Screwdrivers and Wrenches. Order direct from Fynepax and get our power tools discount. All Power Tools require accessories, and a wide selection of them too. This includes Abrasives, Batteries & Chargers, Bits, Blades, Chucks, Diamond Drills, Fuel Cells, Holesaws & Arbors, Mixers, Nails, Pumps, Screws. You can buy them when you need them and have them delivered next day throughout Scotland. Many businesses put their trust in Fynepax for Building tools, Builders tools, Decorator Tools, Decorating tools, Electrician tools, Joiner tools, Mechanic tools, Painters tools, Plumber tools, Plasterer tools. Deliveries being shipped daily around Scotland. We delivery throughout Scotland Monday to Saturday. This includes mainland Scotland, the Scottish Highlands and the Islands. Our most popular towns and cities are Aberdeen, Alexandria, Ayr, Balloch, Campeltown, Clydebank, Dumbarton, Dunoon, Edinburgh, Fort William, Helensburgh, Glasgow, Greenock, Inverary, Inverness, Kilmarnock, Oban, Paisley, Perth, Stirling, Tarbet. 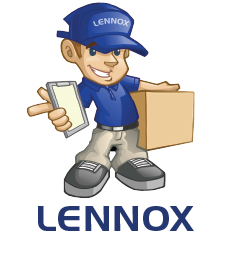 For pricing and information related to our delivery service please get in touch.